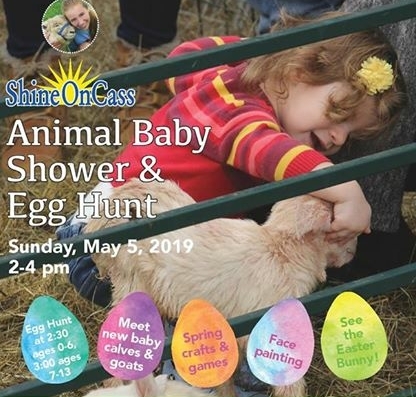 ALBION BENEFIT FOR HUMANE SOCIETY WATERVILLE AREA, ShineOnCass Animal Baby Shower and Egg Hunt, Sun., May 5, 2 – 4 p.m., Hart-to-Hart Farm and Education Center, 16 Duck Pond Lane. Free to the community. FMI: 437-2441, info@hart2hartfarm.org. Bring your own basket to collect hidden eggs. 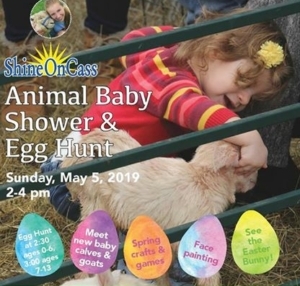 Animal petting area, photos with newborn babies, face painting, crafts and visit the East Bunny. Egg hunt begins at 2:30 p.m. for ages 6 and younger. There will be a separate hunt for 7-13. Wear boots and warm clothing. ALEWIVE FESTIVAL, Sat., May 18, noon – 4 p.m. 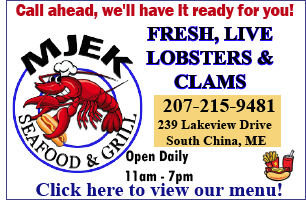 Agricultural speakers, kids activities, music, and Two Maine Guys food truck, much more. SOMERSET EXTENSION, Mon., May 6, Insurance-Home & Auto, 7 p.m., town office. HISTORY OF SOUTH SOLON MEETING HOUSE, by Andy Davis, Mon., May 13, 6:30 p.m., Embden Town House, 751 Cross Town Road. 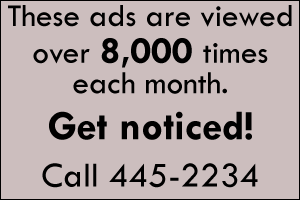 WEIGHT WATCHERS: Wednesdays, 5 – 6 p.m. TOPS, Wednesdays, 10:30 – 11:30 a.m.
COMMUNITY CENTER MEETINGS, Thurs. prior to the second Saturday supper. YOGA: Sat., 8 a.m., weekly, by donation. 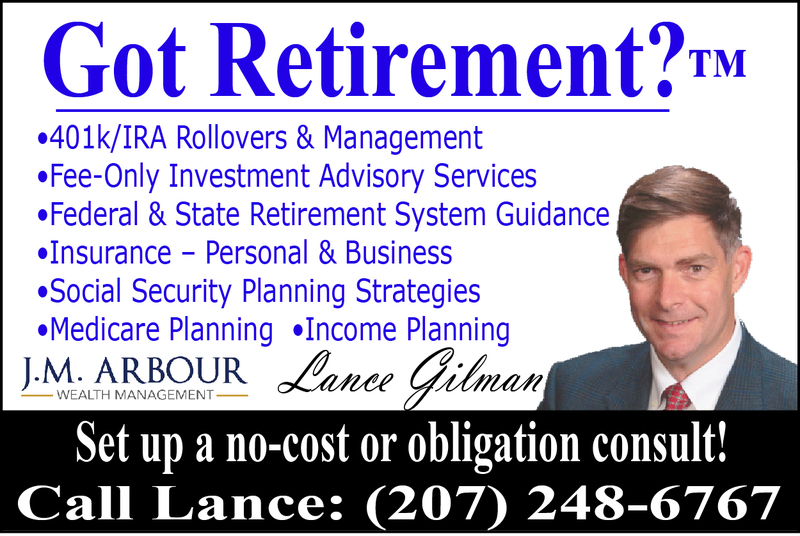 FMI on any of the above, contact Wayne at 474-1065. TURKEY SUPPER, Sat., May 4, 4:30 – 6 p.m., Freedom Congregational Church. SOMERSET EXTENSION, Thurs., May 9, Safety, 10 a.m., Solon Fire Station. SATUR-PLAY, Sat., April 27, Love on a Leash, 1 – 2 p.m., Waterville Public Library, Children’s Department. FMI: 872-5433 or ldavis@watervillelibrary.org.